Lately, there have been articles on leaders, including the CEO, Rupert Murdoch, who are now tweeting and how their personas, and, perhaps, leadership styles, are coming through. The New York Times had such a column on Murdoch yesterday. Now, the Chronicle of Higher Education (CHE) has an article on the new President of Amherst College, Dr. "Biddy" Martin, who took over the Presidency from Anthony "Tony" Marx this past Fall (he is now head of the New York Public Library). The article begins in a wonderful way, speaking about Amherst, the town that I live in, as being idyllic. It also discusses the challenges that Dr. Martin faced in her former leadership position at the University of Wisconsin and asks why she left there to assume the Presidency of a small, outstanding liberal arts college (that actually is more diverse than many institutions). The CHE article also has some inside information that I was not aware of -- of how Amherst College is essentially run by a "Committee of Six" with weekly 3 hour Monday meetings. It quotes Dr. Martin as saying: "Everyone warned me about it," she says of the power of Amherst's faculty. "Someone just recently told me that a former president of Dartmouth is alleged to have said: 'Being president at Williams is a fun job. Being president at Dartmouth is a hard job. And being president of Amherst is an impossible job.' There's a reputation of faculty being ­really hard on presidents." It also notes the anti-professionalism credo at this liberal arts college (and I can personally attest to this since I have had Amherst College students in my office trying to figure out how they can take courses at the Isenberg School of Management and the College of Engineering with the Amherst College restrictions). Yes, we are part of the Five College system but that does not mean that students from Amherst College (as I have found out) can take any course that they are interested in at UMass Amherst. I do wish Dr. "Biddy" Martin all the best in her new leadership role. I think that she will be outstanding. Students are starting to notice already. You can follow President Martin on Twitter. The article from the Chronicle of Higher Education. I was delighted to read Thomas L. Friedman's Op-Ed column Made in the World in yesterday's New York Times that quoted Yossi Sheffi of MIT. Sheffi was my host at MIT when I held an NSF Visiting Professorship for Women. Yossi Sheffi is the author of Urban Transportation Networks in which many of the papers of my dissertation advisor, Stella Dafermos, are cited, and one of my papers as well, although it was published just shortly after I received my PhD from Brown. He has graciously made this book available for download. Of course, he is also the author of The Resilient Enterprise, which focuses on supply chains and how to minimize and respond to disruptions. I refer to his books in various courses that I teach at the Isenberg School from my Transportation & Logistics course to the new Humanitarian Logistics and Healthcare course that I am presently teaching. According to Friedman's column: But America can thrive in this world, explained Yossi Sheffi, the M.I.T. logistics expert, if it empowers “as many of our workers as possible to participate” in different links of these global supply chains — either imagining products, designing products, marketing products, orchestrating the supply chain for products, manufacturing high-end products and retailing products. If we get our share, we’ll do fine. Our approach to supply chains focuses on the network system as described in my Supply Chain Network Economics: Dynamics of Prices, Flows, and Profits book. Information on some of our latest research on supply chains, from medical nuclear ones to pharmaceutical and even fashion ones, can be accessed on the Virtual Center for Supernetworks website. On my way home from UMass Amherst today, I spoke with a neighbor of mine, Dr. Margaret Minsky (I am sure that you recognize the surname, especially if you have had some computer science), who, appropriately, has a PhD in Computer Science from MIT. MATH WHIZ: Play recalls tough days at male-dominated MIT. The article was about a play written by Gioia de Cari. It was the late 1980s when Gioia de Cari was a doctoral student in math at MIT, having earlier received a degree in math from UC Berkeley. She spent 4 years at MIT, earned her master's degree, wrote part of her dissertation, but did not complete it. The experience for her at MIT was very different from that at UC Berkeley. She even would change her attire to try to figure out how to best fit in and a male professor expected her to serve cookies at a seminar. It was even suggested to her by professors and students that she'd be happier at home raising children. Eventually, she realized that theater was her passion and she became a full-time actor but she started writing down her "math stories" in a journal and had started working on plays. She also began to wonder whether the climate had improved for females in math. Then came the Larry Summers bombshell. de Cari was at the academic conference at Harvard in January 2005, when Dr. Summers, then the President of Harvard, suggested that innate differences between men and women, rather than discrimination, could be one reason that fewer women succeeded at math and science. Her reaction to the media response and backlash to Professor Nancy Hopkins of MIT walking out of the conference, led her (she said that she felt an obligation) to complete the play: Truth Values: One Girl's Romp Through MIT's Math Maze. It took her ten years to write. The play will be presented Monday, Feb. 6, at Mount Holyoke College's Rooke Theatre at 7:30 p.m.
“The topic is what graduate school in mathematics is like, in particular for women,” "But those studying science, computer science, physics, chemistry and biology will also relate." The performance is also “good theater,” she said. I was a doctoral student in Applied Math at Brown University in the 1980s and can honestly say I consciously chose as my dissertation the only female faculty member in Applied Math, Dr. Stella Dafermos. She also had a faculty appointment in Engineering and, yes, she was also the only female faculty member in Engineering. In 2005-2006, I was a Science Fellow at the Radcliffe Institute of Advanced Study at Harvard University, and you can read some of my reflections on meeting Dr. Summers on this blog (and we even got treated to dinner at his presidential home). I had spent two years at MIT (one year in Engineering and one year at the Sloan School of Management) in the late 1980s and 1990.The climate has been changing and there are now more female faculty that I can name off the top of my head (several of whom I know quite well). Interestingly, they all received their PhDs from MIT or had a chair of their doctoral dissertation from MIT. I have been invited to apply for certain deanships through contacts by search firms and other networks. I also regularly write about leadership on this blog because, as an academic, I am naturally observant and curious and have had enough war stories both from several years in industry and many more as a female professor to have insights as to how effective organizations are run. The Chronicle of Higher Education has a test for evaluating prospective deans. The Gotcha Quiz was composed by an actual Dean, Dr. Scott Dalrymple. 4. Do you want to be provost or president someday? YES , Incorrect. We haven't even interviewed you yet, and already you're halfway out the door. We need someone who wants to do this job. How can you give your best effort if you're constantly planning your next career move? Sheesh. NO , Incorrect. Have you no ambition? Do you expect to simply coast into retirement, collecting an annuity from us? Not here, pal. 6. Are you a technology enthusiast, e.g. iPods, iPads, etc.? YES , Incorrect. The last guy treated us like his own personal Best Buy, racking up tens of thousands of dollars in charges for "educational technology." Overhead projectors were good enough when we were in school, and they're good enough now. NO , Incorrect. The gal before Mr. Best Buy was a complete Luddite, and what a legal-pad-infested nightmare that was. We need someone who can relate to today's techno-savvy students. Someone who is up on the latest trends, like Prodigy, Geocities, and MySpace. The full quiz can be accessed here. Many notables, from corporate leaders to academics to government leaders and humanitarians, are convening in Davos, Switzerland this week at the World Economic Forum. One of the dominant themes that is emerging is that of the Global Data Deluge and what to do about it. The World Economic Forum has also released a 2012 report entitled: “Big Data, Big Impact: New Possibilities for International Development,” and since I have begun teaching a new course, Humanitarian Logistics and Healthcare, this week, I was pleased to see Ushahidi noted therein as a powerful means of communicating information in disasters. I was also delighted to read a piece on the data deluge on the World Economic Forum website by a Professor of Applied Mathematics from Brown University (I have 3 degrees in Applied Math from Brown, including a PhD with a specialty in Operations Research, and 1 degree in Russian Language in Literature), Dr. Jan Hesthaven. In his writeup, Dr. Hesthaven eloquently states: As a global society, we face a host of major challenges – whether it’s dealing with climate change, seeking new sources of energy and security, curing cancer or lifting billions of our fellow humans out of poverty. There are thousands of people engaged in solving these problems, in scores of laboratories and research centers around the globe. They are generating large amount of data about the issues at hand; yet we find ourselves at a juncture where we have so much data that it’s created a bottleneck. We’re faced with a classic needle in a haystack problem – finding the data that are most useful. We struggle to determine which data we can share and how to share it. We struggle with understanding how data can open new questions for us to pursue. Dr. Hesthaven goes on further to emphasize the needs for education in this area and says: To realize this vision, data and data awareness needs to be integrated into the educational curriculum. We need to teach students how to use massive amounts of data, in higher-education curriculums and even at secondary-school levels. Our educational focus must change, or our children won’t be prepared to handle the vast amounts of data that they invariably will encounter every day. I could not agree more and have been writing about the data deluge and the importance of revamping our curricula regularly on this blog. There are tremendous opportunities now to bring many disciplines closer and analytics and operations research, computer science, and, I believe, economics, will play leading roles. had been published by Edward Elgar Publishing in its series: the International Library of Critical Writings in Economics. When I saw the list of articles that had been reprinted, I was struck by the names of the authors, many of whom I cite very regularly in my papers and books since their works are, indeed, classics in transportation. And then I saw my name on the paper with Braess and Wakolbinger in the first volume; see the contents of Part I of the first volume below, taken from the Edward Elgar page on this book. To be in a volume with Pigou, Knight, Wardrop, Beckmann, McGuire, and Winsten, Lighthill, and even the Nobel Laureate Vickrey, is humbling, to say the least. The full contents of volumes I and II are available here and what a wonderful list of "classics." Plus, I can say that in this group there are even quite a few still with us that I consider my friends. We had been approached by the editor of this two volume edition, Eric Verhoef, a while back, and Dietrich Braess, Tina Wakolbinger, and I had given permission to have our article, published originally in 2005, in the journal, Transportation Science (which is an INFORMS journal), reprinted and had gotten the necessary permissions. The article is unusual since it is a translation of the famous Braess (1968) paradox paper from German to English, that was accompanied by a preface written by David E. Boyce and me. According to the publisher: The first volume explores the classic contributions on congestion and road pricing and includes papers in dynamic models and second-best congestion pricing. The second volume analyses ownership arrangements such as private roads, investment and financing, urban land use, social acceptability and distributional aspects of road pricing. Professor Dietrich Braess visited the Isenberg School of Management at UMass Amherst shortly after our translation was published. Tina Wakolbinger, who, at the time,was one of my doctoral students at UMass Amherst, and I, along with others had a wonderful time hosting him and he spoke in our UMass Amherst INFORMS Speakers series. Some photos and other information can be found here. Tina is now a Full Professor at the Vienna University of Economics and Business. This volume also brings forth some of the amazing synergies between economics and operations research, a theme that has always been very dear to me and my research. But then again, Martin Beckmann was on my doctoral dissertation committee at Brown University, with Stella Dafermos as my dissertation chair. George Majda, who, like Stella, died much too young, was my other committee member. Beckmann is still with us and continues to amaze with his mind and love of life. The National Science Board has released its report: Science and Engineering Indicators 2012, which contains a broad base of quantitative information on the U.S. and the international science and engineering enterprise. The report is organized into various chapters with fact-filled findings and stunning, informative graphics and figures. Article output trends since about the mid-1990s have two defining features: the rapid growth of articles with authors from the developing world, and a rise in the percentage of global article output that is the result of collaboration among researchers internationally. Articles with authors from different institutions in the United States and from different countries have continued to increase, indicating rising knowledge creation, transfer, and sharing among institutions and across national boundaries. The report was brought to my attention by Catherine Rampell, writing in the New York Times Economix blog on Why Students Leave the Engineering Track. For me, hours of intense sessions in solitude work for certain research problems and projects, whereas, for others, I thrive on brainstorming sessions with collaborators and students, in a combination of virtual and face-to-face communication. As for my most recently completed paper, it was with a new French collaborator, Dr. Christian Mullon, who is a mathematical ecologist and with whom I completed a paper on predator-prey models and game theory using some of my previous work on migration networks and his expertise on ocean fish. We had been corresponding for a while and I had a chance to meet him and his wife when I was in Paris last October to give a plenary talk at the NetGCoop conference. If one works on crossing disciplines, one needs collaborators, and, besides, it is just very rewarding intellectually and personally to work with others. We are now in the midst of faculty recruiting season and are having the special experience of interviewing candidates on campus and today our beautiful area of Amherst is covered in several inches of pristine white snow (the first significant snowfall of 2012)! My department alone at the Isenberg School of Management is looking to fill 4 faculty positions (1 in Operations Management, 1 in Information Systems, and 2 in Finance), so it is a very exciting time. It is also a very busy couple of weeks with additional "job" talks to listen to, more elegant meals than usual to attend, and interview sessions with the candidates. I am delighted by the excellent caliber of (soon-to-be) PhDs that are being "produced" nationally. It is always interesting to hear/learn how someone found out about a particular university faculty opening. I am an avid New York Times reader and actually found the job ad for my first tenure track appointment at UMass Amherst in a Sunday edition of the Times. The New York Times used to run all sorts of job ads in the Week in Review section (which recently was replaced by Opinion and Review articles). Many of my doctoral students now respond to openings announced on the INFORMS job postings, POMS, and DSI ones, and also carefully study the job listings in The Chronicle of Higher Education. Sometimes, I will also hear of faculty openings through my personal networks and I have been recruited by various universities in this manner (and gotten offers) and have heard of openings for my students in this form, as well. I have been a subscriber to The Economist for many years and it continues to be one of my favorite magazines. I also very much enjoy perusing the job ads in The Economist where all sorts of exciting opportunities beckon (at Unicef, the International Monetary Fund, various United Nations relief agencies, just to name a few). The Economist, at times, also has postings for faculty openings and I appreciate universities that advertise in The Economist (some business schools regularly do, for example). Last spring, my husband brought to my attention an ad in The Economist (he had gotten to our copy first) that he thought would be of interest to me since I was working on planning my sabbatical for 2012-2013. The ad was for the Visiting Professorship Programme (the British spelling adds a level of sophistication) at the School of Business, Economics and Law at the University of Gothenburg in Sweden. Since I have long had a love affair with Sweden, its people, and culture (I think part of it must be due to my genes since I am of northern European heritage and my first language is Ukrainian so, perhaps, I have some Viking blood in me). I was very intrigued by the job ad since,although my family and I had lived in Stockholm, and I had spent weeks in Umea and Linkoping in Sweden, I had never been to Gothenburg. It's now official: I have been appointed a Visiting Professor at Gothenburg University (GU). I will be spending part of my sabbatical there and will have my first visit there in March. I will be interacting with the Logistics and Transport group, the Environmental Economics group, and the Centre (note this spelling, too) for Finance. I will also be participating in the networks Northern Lead and the Strategic Transport Initiative. I could not be more thrilled about this terrific opportunity. GU has wonderful industrial connections (I do admit, one of our cars has always been a Volvo) so I am also very much looking forward to working with top Swedish companies. In the meantime, Hej då, which means "good-bye" in Swedish. I often tell my students that if they know how to write computer programs (that solve problems) that they will never be out of a job. Computer programming (sometimes called coding, although I prefer the former term) requires knowing a computer language and being able to break up a problem that you want to have solved into component parts. In developing an appropriate computer program or software, you have constructed a usable product. It may involve constructing an algorithm (a series of steps) that, when executed by the computer, will deliver the answer to you, a client, or an organization. It has even been said that automobile companies are software companies, since cars are now so dependent on computer programs. Douglas Rushkoff, in a column, Learn to code, get a job, for CNN.com argues eloquently for coding to be on a par with knowing the alphabet and numbers or how to read and write and do math. He notes: If you know how to code, you can get a high-paying job right now, or make valuable stuff right now. You will understand more about how the world works, and become a participating member in the digital society unfolding before us. You will be enabling America to compete effectively on both the economic and military frontiers, where we are rapidly losing our competitive advantage due to our failure to teach ourselves code. My exposure to computer programming came in college at Brown University, beginning with a course in Operations Research and Linear Programming. Senior year I spent a lot of time writing code in a computer science course and getting the code to work correctly and nicely was time-consuming but also fascinating and, may I say, "addictive." Upon graduation, it was easy to get a job in the high technology sector because I had such skills and programming in assembly language to be used on submarines was my first assignment (my first industry job was at System Consultants, which had many contracts for the Navy and I was based in Newport, Rhode Island, quite the idyllic setting). Now as a faculty member, I still enjoy implementing the algorithms to solve complex network problems ranging from supply chains to dynamic transportation networks. Computer programming is about solving problems and it is fun! It should be part of the curriculum and every college student (and probably high school student, as well) should have the experience of how creative and powerful of an experience it us to be able to write computer programs. We would not have Google, Facebook, or Twitter without computer code. It's hard to imagine what the world would be like without software! This week, I mark the third birthday or "anniversary" of this blog, which I began on January 19, 2009. When I first started this blog, I never imagined that I would learn so much from the experience -- from my fellow bloggers, especially those in Operations Research, as well as from my readers (and I continue to be surprised when former students, locals, and those from thousands of miles away let me know that they appreciate what I write about). The focus of this blog has been to highlight research, education, and networks, and it has featured quite a few amazing individuals, from Kings to Presidents (of universities, as well), to individuals who are making a difference and these have also included children (the trips of students and alums from The Bement School to the Dominican Republic to help out in a boys orphanage, for example). 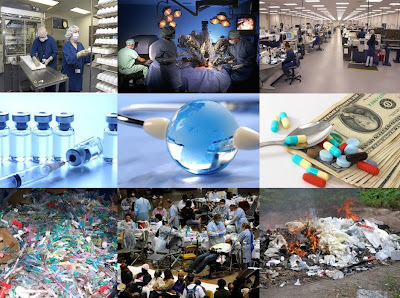 The research that I have highlighted on this blog has ranged from humanitarian logistics and healthcare to a variety of advances in supply chains, transportation, electric power, and financial networks. I have also included numerous photographs from conferences, and from celebratory events (graduations from high school, from universities, awards and grants received, and even sports achievements, from the World Cup to figure skating) as well as from my world-wide travels. Such posts continue to be some of my most accessed posts (who is not fascinated by Argentina, New Zealand, Iceland, Ukraine, China, or Italy)? I've also tried to voice what it is like to be a female academic, who loves math and science; who teaches in a business school, who does a lot of research, writes journal articles and books, and who also is a mother and wife. The challenges never end and resiliency matters. I write to get good news out when it happens and to recognize unfairness and inequities. I also try to comment from an analytical angle (as I do in the classes that I teach) on what is happening in the world. This is post 767, which (I can't help but love numbers) reminds me of the Boeing 767 aircraft, and, given the amount of time that I spend on airplanes and at airports, this suits me fine. If your area of expertise is transportation, logistics, and networks, you need to be out there. My Op-Ed piece, Preparing for the Next Global Disaster, appears in today's Sunday Republican newspaper as part of the Viewpoint series. In the article, which is available online, I argue for more education on humanitarian logistics in all aspects of disaster management from preparedness and mitigation to recovery and reconstruction. The article was written to mark the second anniversary of the devastating earthquake in Haiti and to recognize the disasters that have befallen our area of Massachusetts in the past year. The number of disasters is growing as well as the number of people affected by them. I start teaching my new course on the subject, Humanitarian Logistics and Healthcare, on January 24 at the Isenberg School of Management. This is a truly unique course and I have spent weeks preparing the lectures and course materials. 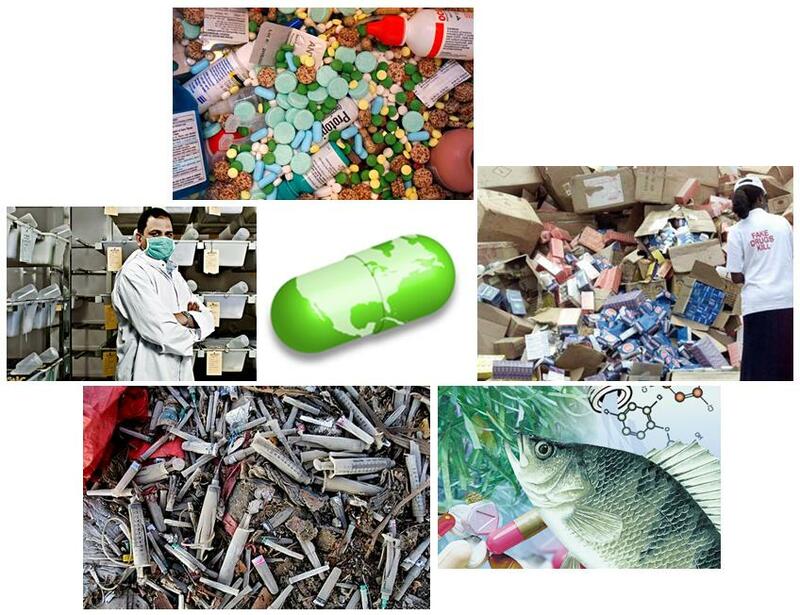 Drugs produced by pharmaceutical companies not only keep people healthy, but can prolong and even save lives. Hence, when shortages of medicines occur there can be devastating impacts. There has been a lot of coverage lately in the media about drug shortages, with the number of drugs that were reported in short supply in the US in the first half of 2011 rising to 211 – close to an all-time record – with only 58 in short supply in 2004. According to the Food and Drug Administration (FDA), hospitals have reported shortages of drugs used in cancer treatment as well as in surgery, anesthesia, and intravenous feedings. 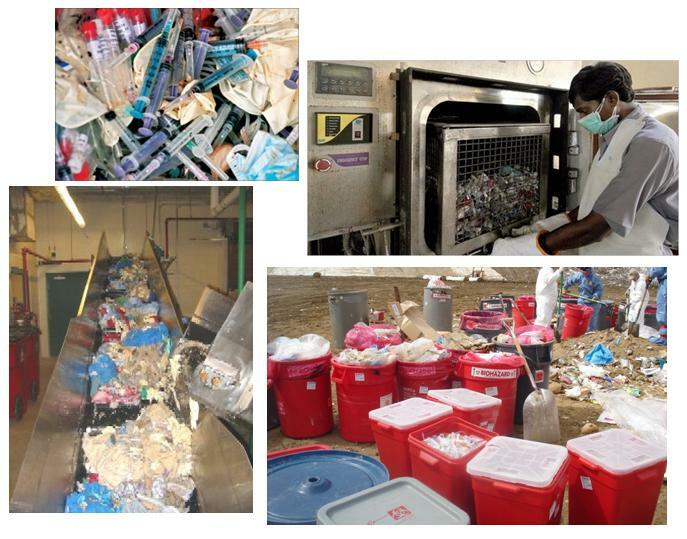 The consequences of such shortages include the postponement of surgeries and treatments, and may also result in the use of less effective or costlier substitutes. The American Hospital Association reports that all US hospitals have experienced drug shortages, and 82% have reported delayed care for their patients as a consequence. The reasons for such shortages are complex, and this important issue is starting to receive even increased governmental attention. As we note in our latest paper, "A Supply Chain Generalized Network Oligopoly Model for Pharmaceuticals Under Brand Differentiation and Perishability," co-authored with two of my doctoral students, Amir H. Masoumi and Min Yu, most cases appear to be related to manufacturers’ decisions to cease production in the presence of financial challenges. Pharmaceutical companies secure notable returns solely in the early lifetime of a successful drug, before competition takes place. This competition-free time-span, however, has been observed to be shortening, from 5 years to only 1-2 years. Hence, the low profit margins associated with certain drugs may be forcing pharmaceutical companies to make a difficult decision: whether to lose money by continuing to produce a lifesaving product or to switch to a more profitable drug. The FDA, however, cannot force companies to continue to produce low-profit medicines even if millions of lives rely on them. On the other hand, where competition has been lacking, shortages of some other lifesaving drugs have resulted in huge spikes in prices, ranging from a 100% to a 4,500% increase with an average of 650%. In addition, in 2011, pharmaceutical products valued at more than $30 billion were losing patent protection, with such products generating more than $15 billion in sales in 2010. More than 80% of the ingredients of drugs sold in the US are made overseas, mostly in remote facilities located in China and India that are rarely -- if not ever -- visited by government inspectors. Supply chains of generic drugs, which account for 75 percent of the prescription medicines sold in the US, are, typically, more susceptible to falsification with the supply chains of some of the over-the-counter products, such as vitamins or aspirins, also vulnerable to adulteration. In the past, product recalls were mainly related to local errors in design, manufacturing, or labeling, a single product safety issue today may result in huge global consequences. 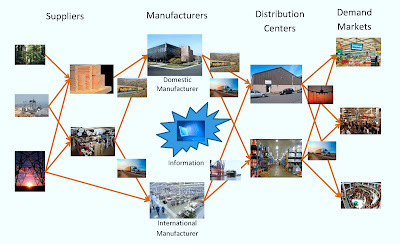 In our pharmaceutical supply chain network paper, we developed an analytical model, based on game theory and generalized network theory, that captures many of the realities of complex pharmaceutical supply chain networks today -- from competition, to brand versus generic drug consumption, to product perishability and even waste management issues. For flexibility purposes and generality, we modeled both elastic and fixed demand scenarios. The analytical framework also allows for the quantitative investigation of the impacts of patent rights expiration on a pharmaceutical company's profits, as we demonstrate in a case study of cholesterol-lowering drugs. Our paper, we are pleased to report, has now been accepted for publication in the journal, Transportation Research E: Logistics and Transportation Review. In addition, we will be presenting it at the upcoming POMS Conference that will take place in Chicago, Illinois April 20-23, 2012. And for a brilliant panel discussion, A Worldwide Standard of Care, at the World Science Festival in NYC, that includes Dr. Eric Lander, the head of the Broad Institute, click here. On January 12, 2012, we mark the second anniversary of the devastating Haiti earthquake, which resulted in about 300,000 lives lost, numerous injuries, critical infrastructure from roads to communication and energy lines destroyed, along with buildings and homes. And, yet, two years after the earthquake, there are still hundreds of thousands of Haitians living in tents without running water and without electricity. Two years, and so many still have no relief or a place that they can call a proper home. Have not they suffered enough? The Boston Globe has marked this painful anniversary through photos, which graphically show the glacial pace of recovery and reconstruction. To mark the anniversary of this disaster, I wrote an OpEd piece arguing for more education in humanitarian logistics. It is scheduled to be published this coming Sunday in the Springfield Republican newspaper, the major newspaper in western Massachusetts. I will be teaching a new course on Humanitarian Logistics and Healthcare at the Isenberg School of Management beginning in two weeks and today I finished the lecture on supply chain risk management in which risk management of commercial supply chains is compared with risk management of humanitarian ones. Cooperation is critical in humanitarian logistics as is proper management of the financial funds that flow from donors. When will Haiti rise again from the ashes? For a very interesting segment on Haiti from the global journalist radio click here. Scientists, Networks, and Cambridge Nights -- But Where are the Females? In yesterday's Science section of The New York Times there is a very interesting article by John Markoff, Scientist's Online Interviews Draw His Peers Out of Lecture Mode, about an initiative at MIT's Media Lab (which I am a big fan of) called Cambridge Nights. This is a series of video interviews with scientists on their lives and research. The interviews are conducted by Dr. Hidalgo, who is a physicist, and whose dissertation advisor was Albert-Laszlo Barabasi, of network science fame, who is now at Northeastern University. Barabasi spoke in our UMass Amherst INFORMS Speaker Series and, as always, was provocative, energetic, and very informative. The last time that I saw Professor Barabasi was at the Network Science Conference, held at the Media Lab in Cambridge, MA, May 12-14, 2010, where we presented a paper on our critical needs supply chain network design research. All of the scientists interviewed in the Cambridge Nights videos, to-date, however, are males, which was disappointing to me. Perhaps, the female President of MIT, Dr. Susan Hockfield, could be included in a future interview or how about Dr. Lisa Randall, the physicist at Harvard? I could easily prepare an appropriate list. Having spent a year as a Science Fellow at the Radcliffe Institute for Advanced Study at Harvard University, I can attest to the female brainpower in Massachusetts. One of the scientists interviewed (not unexpectedly given the above academic genealogical connection) in Cambridge Nights is Dr. Barabasi, and he speaks about how he became interested in networks and how his work evolved from material sciences to network science. I appreciate his honesty regarding how, initially, he had difficulty publishing his papers. He deserves a lot of credit for bringing deep data analysis to network problems. However, in listening to the video, someone might get the mistaken impression that there was no research on networks until the mid 1990s and that is factually incorrect. In operations research (and even in economics), the modeling, analysis, and solution of network problems has a long history, dating to the 1940s (and I can even go back further in the case of economics and finance and have done so in quite a few articles that I have published). In terms of transportation alone the book by Beckmann, McGuire, and Winsten (1956) provided fundamental results in capturing complex behavior of people (drivers) interacting with one another on transportation networks, among other innovations. Also, everyone in operations research is familiar with the book by Ford and Fulkerson, Flows in Networks, published in 1962. By dissertation advisor at Brown University, Dr. Stella Dafermos, was publishing on networks, starting in 1969, and she helped to inspire me, although she died in 1990, to write quite a few books on network themes, beginning with my first book in 1993. Some of the classical books on networks that are available for download can be found on the Supernetworks Center website. 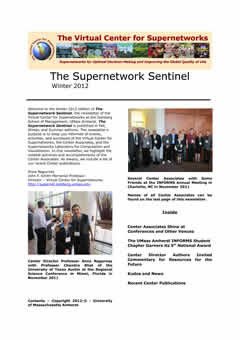 There certainly was a lot to report in the 2012 Winter Edition of The Supernetwork Sentinel, which is the newsletter of the Virtual Center for Supernetworks at the Isenberg School of Management at UMass Amherst. From keynote talks, invited conference presentations, and seminars in Paris, Montreal, Miami, Raleigh, Rapid City, Charlotte, and even Amherst; new titles, awards, and other distinctions, plus many paper acceptances, as well as publications, it has been a very productive time since our 2011 Fall Newsletter was published. As Center Director, I thank all of our terrific supporters. The two volume edition of the International Transactions in Operational Research (ITOR) is now available and just in time (see the Table of Contents above). The January-March 2012 double volume is a refereed compendium of papers, edited by Celso Ribeiro and Irene Loiseau, and is based on tutorials given at the ALIO-INFORMS meeting that took place in glorious Buenos Aires, Argentina, June 6-9, 2010. I am using two of the tutorial papers in my new course, Humanitarian Logistics and Healthcare, that I am teaching this coming term at the Isenberg School of Management. The syllabus is available online. These papers are: Using OR to adapt supply chain management best practices to humanitarian logistics (pages 307–322) by Luk N. Van Wassenhove and Alfonso J. Pedraza Martinez, and the paper that I co-authored with Q. Qiang: Fragile networks: identifying vulnerabilities and synergies in an uncertain age (pages 123–160). Black Swans, New Nostradamuses, Voodoo decision theories, and the science of decision making in the face of severe uncertainty (pages 253–281). In his tutorial paper, Sniedovich has quotes from Nassim Taleb, who not only is a best-selling author, much quoted in the Wall Street Journal, but also had a faculty appointment in my department at the Isenberg School for a period of time. Indeed, Taleb's published papers that year were included in our Research Beat of 2005 (along with those of other faculty) and he even published with Emanuel Derman of Columbia, who is the featured interviewee in the most recent INFORMS podcast with Barry List! Sniedovich cites the book, Algorithms for Worst-Case Design and Applications to Risk Management, by Rustem and Howe, published by Princeton University Press. In addition, he cites the book Minimax and Applications by Du and Pardalos, and published by Springer. Coincidentally, I know both Berc Rustem and Panos Pardalos well and they were among the invited speakers in the Rockefeller Foundation Bellagio Center Workshop on Humanitarian Logistics: Networks for Africa that I organized and that took place in May 2008. I had the pleasure of attending several of the tutorials at the ALIO-INFORMS conference, including Celso Ribeiro's one on sports scheduling (with a focus on soccer, which was perfect since the World Cup was just beginning) and, of course, I was there to give the tutorial on Fragile Networks (the theme of my book with Q. Qiang). My tutorial can be accessed in part I, part II, and part III. For photos taken at the conference, including several of the tutorial givers, see this post on this blog and this one. I tried to capture some of the magic of this historical city in other photos as well. 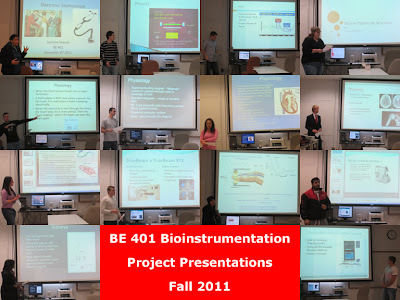 As a faculty member, at the end of a semester, I often have the wonderful experience of seeing how students have synthesized the course materials through their projects and presentations. I have the privilege of listening to student presentations in all the classes that I teach and it is always a highpoint of the semester. My husband, Dr. Ladimer S. Nagurney, is also a faculty member but, unlike me, he is an expert in hardware and he is a professor of electric, computer, and biomedical engineering at the University of Hartford. 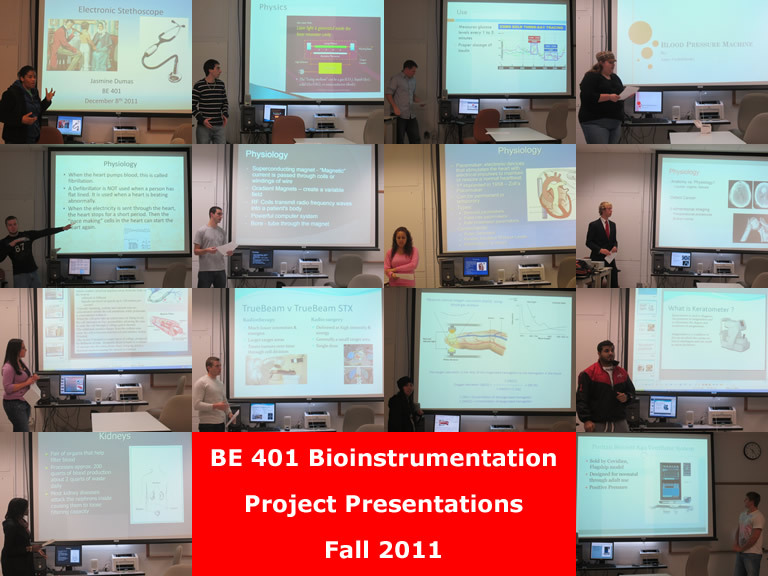 This past semester, he taught a bioinstrumentation course and, in the graphic above, which he prepared, snapshots of his student presentations are captured. I have been hearing about the great student projects and found them so impressive and timely that I wanted to write and comment about them. The students in the class chose a biomedical instrument to research in depth. As part of their research, they created a presentation that highlighted the Physiology that led to the development of the instrument, the Physics behind the measurement, and the Clinical Use of the instrument. Among the biomedical instruments that were delved into: a Blood Pressure Monitor, a Pacemaker, an Electronic Stethoscope, Magnetic Resonance Imaging (MRI), a Pulse Oximeter, an Ultrasound Machine, a CT Scanner, a Ventilator, a YAG Laser, Kidney Dialysis Equipment, a Continuous Blood Monitor, EMG/EKG data collection, a Defibrillator, an Angiogram, and even Radiosurgery and Radiotherapy Instruments. I must say, I am impressed (and it takes a lot to impress me). What is also terrific is that the students learned from one another's presentations and they had a chance to develop their public speaking skills. And, if you notice in the graphic above, there were quite a few females in the class (maybe there is hope for the future of females in engineering). Nice to know that these senior year students (and some of them already have great jobs after graduation, whereas others are applying to grad school) will be prepared to develop biomedical instruments that can both save lives and create jobs in healthcare. Lucky are those who have had a teacher or several teachers that made a difference in one's education and, hence, in one's life. I will never forget the wonderful elementary, high school, and college teachers that I had and I can still hear some of their voices in my head. The positive impact of a teacher can last for years and The New York Times is reporting on a study that quantifies the lasting impact that a great teacher makes. My daughter attends Deerfield Academy, which was founded in 1797, and, on several occasions, I have written about this outstanding educational institution, various activities there, as well as the books that have been written by graduates or those closely related to the institution (The Headmaster and Death be Not Proud are two well-known examples). The King of Jordan, His Majesty, Abdullah II, is a Deerfield Academy graduate, class of 1980. In a recent video, Imagine Deerfield, he speaks of the education that he had at Deerfield and especially of his teachers. It is a beautiful commentary that also notes the role of technology in today's world, and it should be listened to. He especially emphasizes investing in teachers and notes some of the great teachers that he had while he was a student at Deerfield, including Madame Lyons, his French teacher (who was my daughter's French teacher last year and we had the experience of sitting in on her class during Parents' Day). A photo of the King with Ms. Lyons is available on a Deerfield webpage, which has additional information about the video. Great teaching even a King acknowledges decades after. And, I have heard from Deerfield Academic grads who even decades after still have dreams about their teachers -- how can one forget the unique experience of vocabulary tests given by a teacher who was a Rhodes Scholar?! Also (and this is another example of a small world phenomenon), a brother of the king, Prince Faisal bin Al Hussein, attended The Bement School, also in Deerfield, MA, which was my daughter's elementary school, and he went to Brown University, my alma mater. Plus, he was a student in one of the Applied Math courses that I was a TA for and I recall him living in Hope College, and usually walking with two bodyguards carrying tennis rackets. This is a time of the year when many make their New Year's resolutions: to be kinder, to spend more time with one's family, to run a marathon, write another book, visit a country you have never been to, climb Mt. Everest, swim the English Channel, get a pilot's license, run for President, to stop and smell the roses, etc. This month's INFORMS blog challenge is, hence, appropriately, thanks to Mary Leszczynski: O.R. and Resolutions. Doing More Good with Great O.R.! As noted in a terrific interview with Cynthia by Peter Horner in OR/MS Today, Cynthia got the theme for her presidency -- with permission -- from a plenary talk, Doing Good with Good O.R., that Professor Margaret Brandeau of Stanford University had given. Whether tackling issues of poverty and foreclosures, hunger, inadequate healthcare, substandard transportation and infrastructure, environmental degradation, insecurity, inequity and injustice, Operations Research, through the consistent hard work and diligence of Operations Researchers, is making a difference. Disciplinary boundaries are being broken, new generations of students are being educated, research is being applied more quickly in O.R. and analytics practice, and more are joining the profession. And according to the psychologists, and even Plato before, the keys to happiness lie in doing good! Indeed, doing good, feels good. Gina Kolata has written a fabulous article on Dr. Eric Lander, the head of the Broad Institute in Cambridge, MA, which now has 1,800 scientists involved in genetic and medical research. The article has an accompanying video (with music in the background) in which Dr. Lander speaks on his math background and his love of working in scientific teams that break down boundaries. The article is a must read (and do check out the video, too). Dr. Lander's father died when he was only 11. He went on to graduate from Princeton University at age 20 with a degree in pure math and as the valedictorian. While at Princeton he also very much enjoyed writing and took John McPhee's narrative nonfiction course. John McPhee had gone to Deerfield Academy, the school that my daughter now attends, and is the author, of among other books, The Headmaster, about Frank L. Boyden of Deerfield Academy. Lander received a Rhodes scholarship, and completed his PhD at Oxford in 2 years, also in math. Although he was not trained in economics, after getting his PhD, he landed a faculty position at the Harvard Business School to teach managerial economics but soon became intrigued by biology. Dr. Botstein of MIT, a biologist, needed a mathematician and, through some nice networking, connected with Dr. Lander and the rest is history. Lander enjoyed the social aspects of math (being on a math team, for example) and found pure math too isolating. I think he should have, perhaps, chosen applied mathematics or operations research (but I am a bit biased). Indeed, his first work in biology involved algorithm development. His charisma shines through in the article and video and I wish him and his team of hundreds many scientific discoveries that can change the future of medicine. As my readers know, I often like to say that Amherst is the center of the universe. We have had some amazing residents in our town from famous authors to renowned scientists and humanitarians and there are still many in the midst that inspire. As a Brown University alumna (4 times over) and officially also a Harvard alumna (having been a Science Fellow at the Radcliffe Institute for Advanced Study), I stay in touch with these communities and periodically also catch up with news by checking out their websites. Today I found out on the Brown University website that Chinua Achebe, the renowned Nigerian-born novelist, former professor at UMass Amherst and Amherst resident (wait -- there is more, so do read on), and now professor at Brown University, has been selected as The Man of the Year by The Guardian. GREATNESS is an attribute much in retreat in our society these days. But it is the quality that is imperative for a nation, for a people to make progress. Greatness is the depth of character that is unswayed by material attraction and superficial rewards, especially of the sort that is flaunted by persons of lesser pedigree, and craved by many, including sundry jobbers and petty crooks. Greatness is the strength to say no when everything and everyone else seems swept away by a certain madness that benumbs the senses. Greatness is the ability to look past the present and see beyond the future. It is the courage to envision a better society, to insist on what is right, on what is proper to realize that better society. Amazingly, and for those of my readers who like doing research it is not hard to confirm, Chinua Achebe once lived in our house on Blackberry Lane. The connections are even stronger. One of my husband's colleagues at the University of Hartford, Professor Joyce Ashuntantang, who was featured in a Faculty column (it's the second one) in a recent issue of The Observer, which is online and can be accessed here, discovered that Achebe's original manuscript for Things Fall Apart, his groundbreaking 1958 work and first novel, was missing. She has been trying to track it down and my husband promised her that should we find it on our home (unlikely since it was given to a Cameroonian professor then living in the US) that we would let her know. She is also from Cameroon and was completely amazed when my husband told her that we live in Amherst in Achebe's former home! I very much enjoyed Professor Ashuntantang's remarks in the article as to why finding the original manuscript is important; according to her: it may help to reveal Achebe’s thought process as he wrote. Although he told me that he was quite a neat writer and did not change anything, the manuscript may reveal otherwise. Even minor changes may prove to be important to literary critics and historians. The truth is, written literature depends on effective record keeping as a basis for new writing. Who doesn't love a great mystery! At the end of every year, I highlight special achievements and activities of the past year of the Center Associates at the Virtual Center for Supernetworks that I founded 10 years ago at the Isenberg School of Management and that I continue to direct. These are noted in a special Congratulations and Kudos page. What a great year 2011 was research-wise, teaching-wise, and professionally service-wise, despite tornadoes, Hurricane Irene, and the multiple day power outage after the freaky Halloween snowstorm in the Northeast. From teaching awards at multiple universities, research and mentorship accolades, numerous conference presentations and panels (Transportation Research Board meeting in DC, AAAS meeting in DC, IEEE Supernetwork Conference in Shanghai, INTRIM in Montreal, NetGCoop in Paris, SAMSI in Raleigh, POMS in Reno, RSAI in Miami, and INFORMS in Charlotte), and plenary talks (China, France, and the US), and even help with conference organizing (SBP in Maryland and the Regional INFORMS Conference at UMass Amherst), and, of course, research publications and even commentaries, it is amazing what this great team, which now has members on 3 continents, has accomplished and has had a lot of fun throughout. This year we were not only interviewed but even filmed in NYC. It takes a great team to create synergies and to do important research from sustainable supply chains to humanitarian logistics and healthcare to dynamic networks from electric power to transportation. It also takes a great team to do what needs to be done from helping out with student chapters to bringing speakers in and just being supportive of others. By working together so much more can be done (and it is much more enjoyable) than going at problems alone. For photos of some of our activities, click here. Thanks for the support and best wishes! I have enjoyed this break not only because it is such a special time of the year but because I have had time to prepare two new courses that I will be teaching this 2012 term at the Isenberg School of Management. Getting a syllabus together (as well as the course materials and lectures) requires a lot of planning and work and with this task accomplished for both my "Humanitarian Logistics and Healthcare" course and my "Advanced Mathematical Programming: Dynamic Network Systems" course, I have even managed to get several lectures together that I am very excited about. I wrote an earlier post on the Humanitarian Logistics and Healthcare course and the syllabus for this course is now available online. The Dynamic Network Systems course will be covering projected dynamical systems, some evolutionary variational inequalities, and applications ranging from dynamic transportation networks to complex supply chains and models of the Internet. We will be reading and discussing many journal articles and it will be an exciting and challenging course. What I find truly fascinating is how the methodology that we developed (along with Dupuis, Zhang, and others) has now broken through other disciplines and has generated additional interesting results and applications to population games in economics, predator-prey networks in ecology, and even neural networks and neuroscience, to start. I love it when applications drive innovations in methodologies and vice versa. I will make available to the students in this course two of my books: Network Economics: A Variational Inequality Approach, the second and revised edition, published in 1999, and Projected Dynamical Systems and Variational Inequalities with Applications, written with Ding Zhang, and published in 1996. The latter book is the second book in the International Series in Operations Research and Management Science, edited by Fred S. Hillier. In addition, I will be making use of Patrizia Daniele's book, Dynamic Networks and Evolutionary Variational Inequalities, published by Edward Elgar Publishing in 2006. Patrizia wrote this book while she was a Visiting Scholar at the Radcliffe Institute for Advanced Study at Harvard University while I was a Science Fellow there in 2005-2006 and we collaborated. I wrote my Supply Chain Network Economics book that year that was published by Edward Elgar Publishing in the New Dimension in Networks series. The syllabus for the Dynamic Network Systems course is now available online. I'd like to wish all of my readers the best of health, happiness, and success. 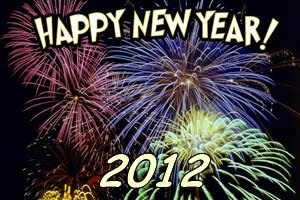 May your dreams come true in 2012! Thanks for all the interesting and memorable experiences of the past year.